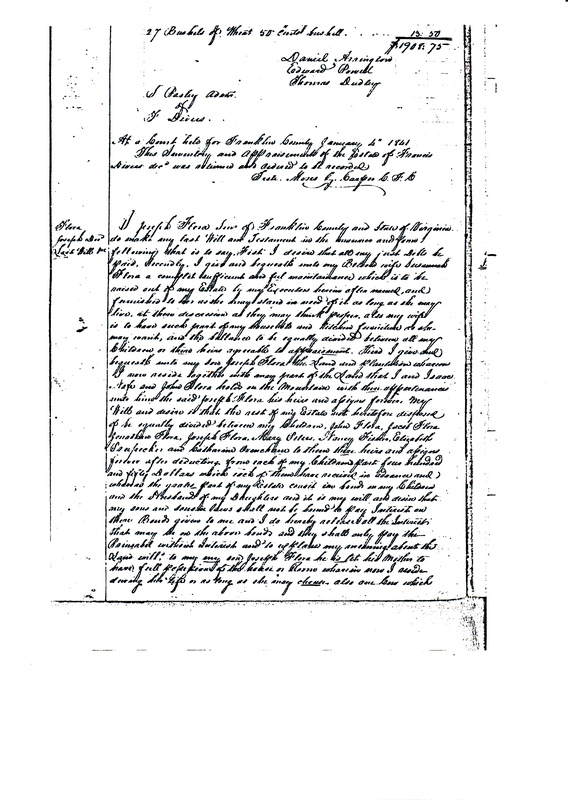 The following material is courtesy of Rebecca Brubaker Freeman who notes that the line she is focused upon is the Joseph Flory (1682-1741) to Jacob Flora (1727-1796) to Joseph Flora (1761-1841) to Jacob Flora (1790-1853) line [ one with a particular symmetry to its naming pattern I think you will agree. 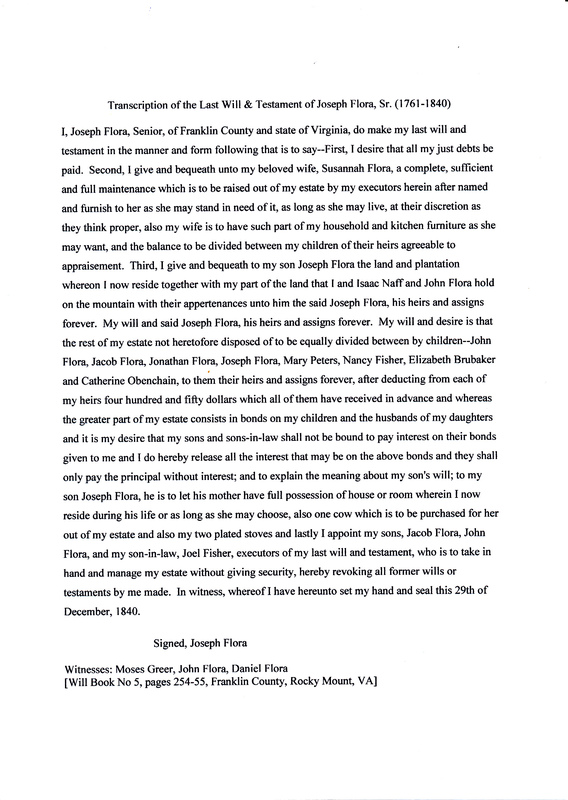 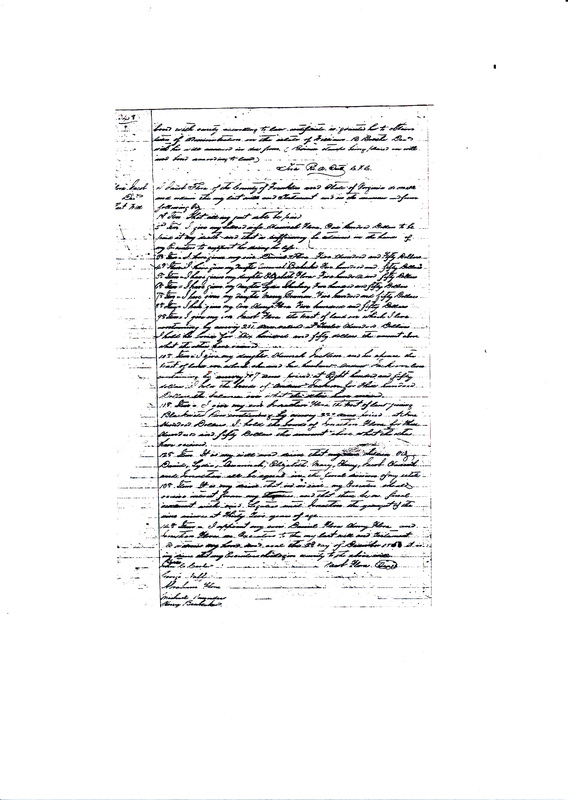 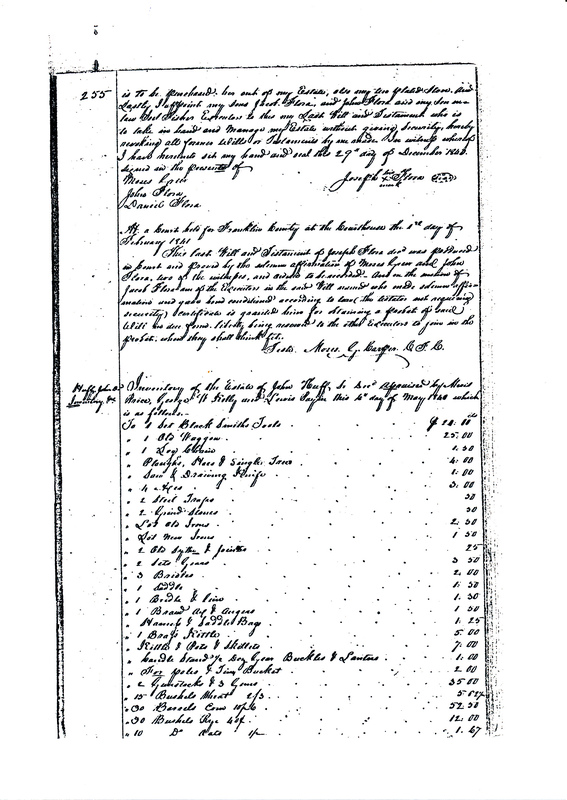 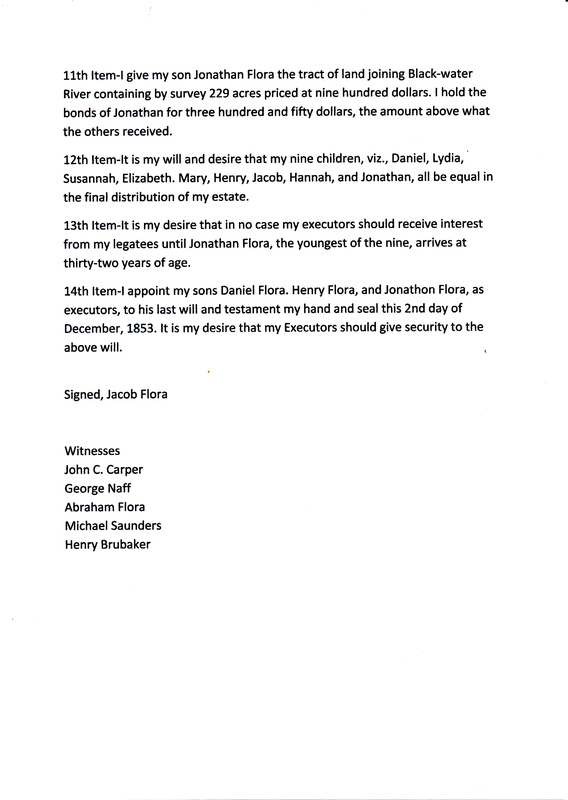 “This is the last will and testament of Jacob Flora (1790-1853) of Franklin County, Virginia, found in Will Book No. 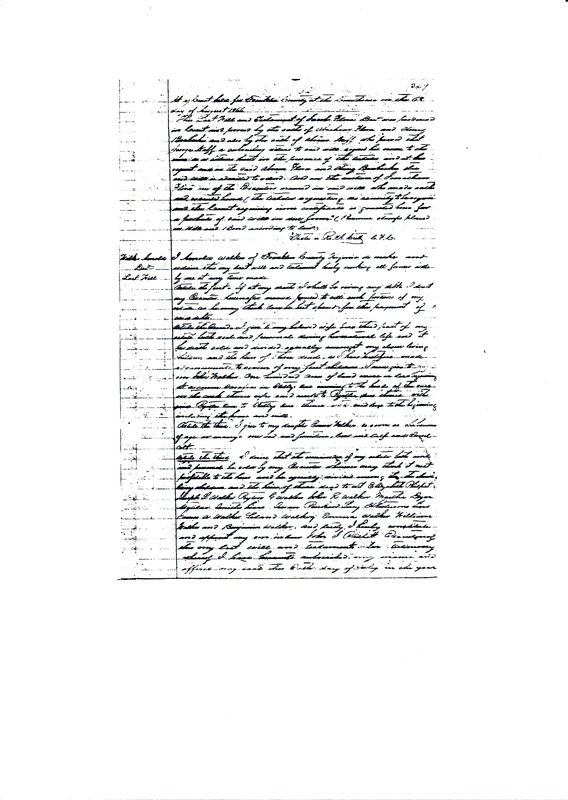 14, pages 348-349, Rocky Mount, Virginia. 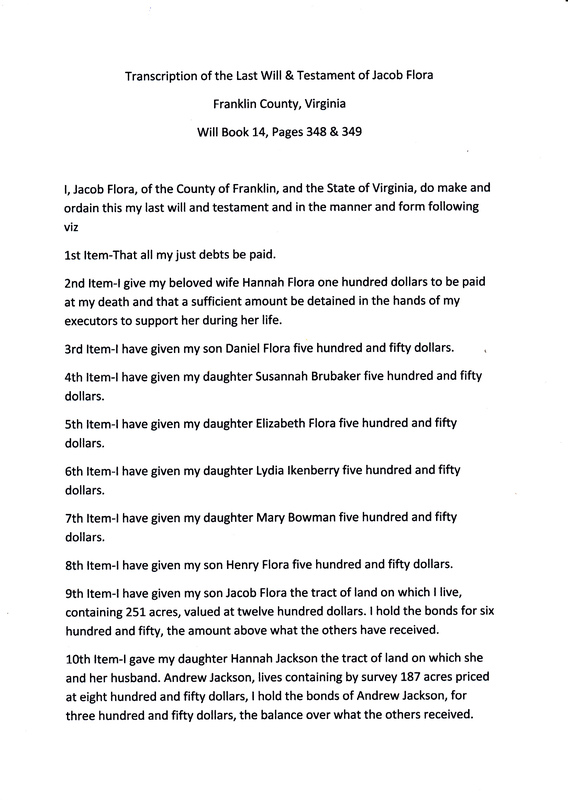 A transcript of the will follows the photocopied pages of the Will and Testament itself.